Breakfast Memories Made With Homemade Pancakes From The "Heart"
I always called the kitchen at my parent's house the "heart" of the house. That was a place where we typically gathered to have family discussions and shared meals together. Believe me, my mom made it a point for the whole family to eat together for dinner every night! She cooked meals from scratch as much as possible, even after a long day at work, when I could tell she wanted nothing more but to sit down and be done with any kind of responsibilities that anyone expected from her. I still miss those home cooked meals when I am feeling down or sick in bed. On Saturdays and Sundays, my mom could once again be found in the kitchen, making a big breakfast for us. The aroma that came from the "heart" of our house filled the air and I knew it was time for us to get out of bed. I remember waking up to the smell of homemade pancakes cooking on the stove. The smell of the pancakes and other breakfast food would seep through my bedroom door, causing my stomach to grumble and push me out of bed. Now that I think about it, it was not only dinner time when she wanted us to all sit together but on the weekends, too. The weekend mornings moved slower and we usually were not in a rush to leave the house. It was the perfect time to eat, talk and relax at the kitchen table without constantly glancing at the clock. One of my favorite things to eat for breakfast became waffles and pancakes, not from a box, but from a homemade batter. She usually had that cooking along with bacon, sausage or ham, eggs and grits. The kitchen was the heart of the house, containing all the memorable moments because my mom's love thrived there, as she was the heart of the family. Now that I cook for my own family, I want to make more recipes from scratch, too. 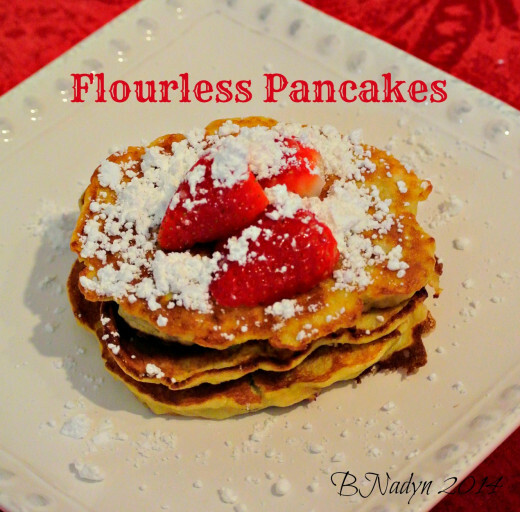 One of the pancake recipes I am now obsessed with, (thanks to my husband who heard about it), is a simple, no effort recipe to make flourless pancakes. It only requires two basic ingredients: bananas and eggs. I first tried it using only those two ingredients but have now made it a few more times using different toppings and ingredients to mix into the batter. I changed the recipe a bit to also make flourless waffles. 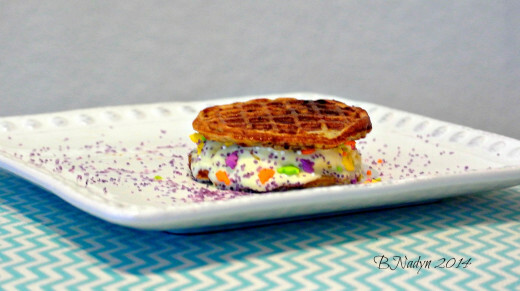 Since we have a mini waffle maker, my kids love making mini ice cream sandwiches with the waffles. To keep the recipe all-natural and on the healthier side, however, I would suggest sticking with the basic eggs and bananas ingredients. If you feel the need to add more, only add in natural, healthy food ... instead of powdered sugar, ice cream and sprinkles, which I admit, I do make for my kids occasionally. Although, if you are looking for a sweet treat that is a little on the unhealthy side, then go ahead and add in some ice cream, whip cream or chocolate chips! 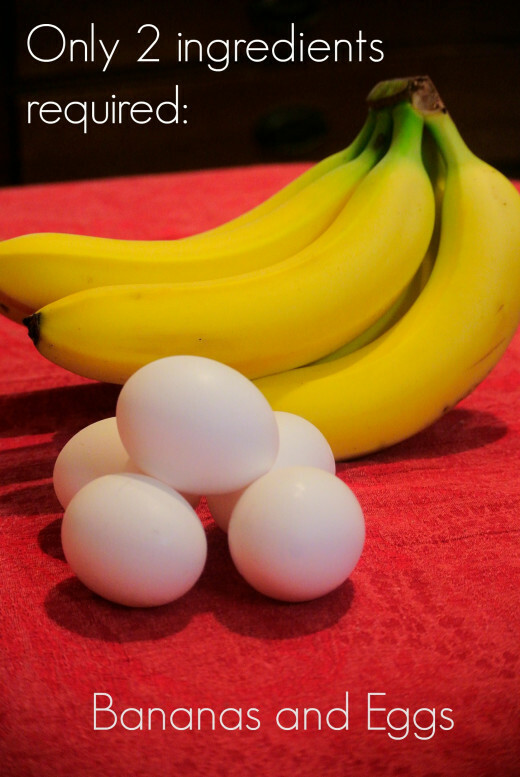 You can mash the bananas separately in a large bowl with a fork or use a mortar and pestle or use an electric mixer or electric handheld mixer and mix the bananas and eggs together. Add in extra ingredients like cinnamon, apple pie or pumpkin spice, if desired. Beat the eggs with the mashed bananas until only a few lumps are left in batter. Cook pancakes on griddle or pan. Cook waffles in waffle maker for a bit longer than usual. For mini waffles, they were done after 3-4 minutes. Add strawberries, berries, other fruit or toppings, if desired. Waffles date back to the Neolithic Age (ca. 6000 B.C.E. to ca. 2000 B.C.E.). 1964: “Belgian waffles” debut at the New York World’s Fair in Flushing, Queens. Visit The Nibble for more facts and a historical timeline about waffles. They include more creative recipe ideas for waffles, as well. Like waffles, pancakes are a popular and favorite breakfast food around the world, as well. They are loved by adults and children alike. 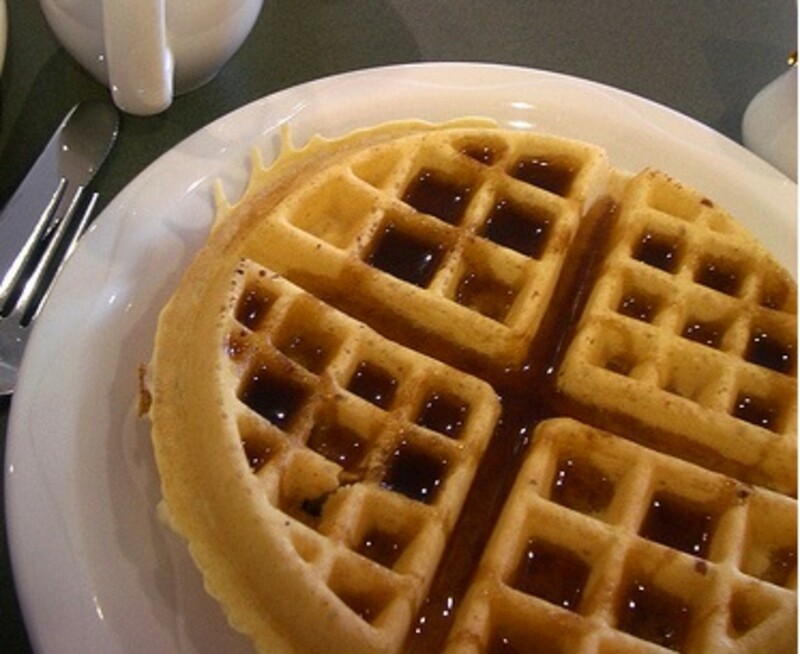 Similar to waffles, they have been around for a long time, too. "The first pancakes can date back to Ancient Greek. 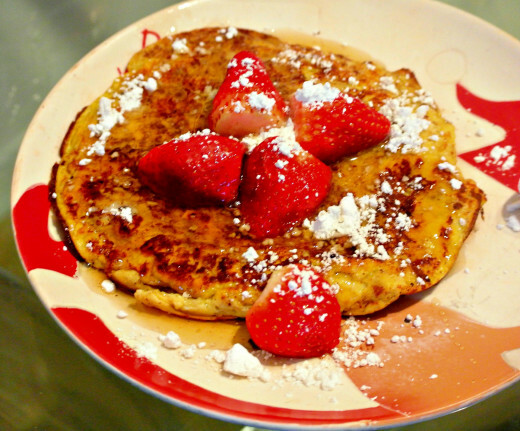 Since the 6th century, pancakes have been an important part of any Greek person's breakfast. 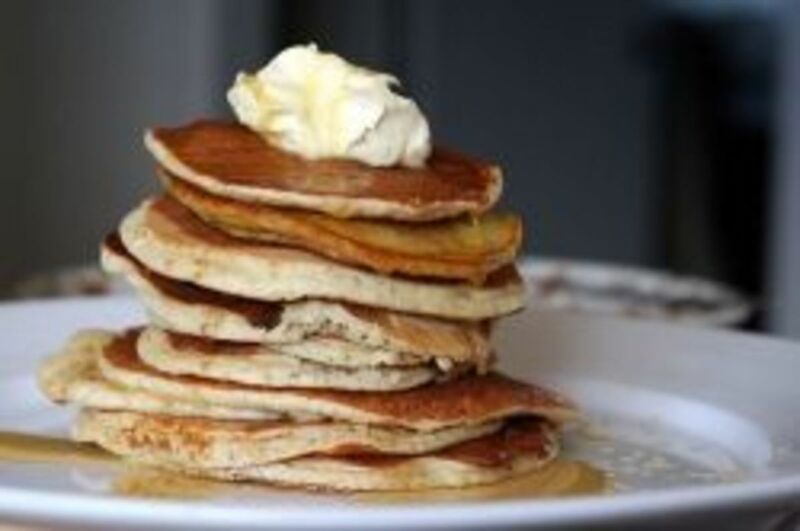 The first recorded mention of pancakes comes from the poet Cratinus who described warm pancakes in one of his writings. In Greece, pancakes are called taginites." 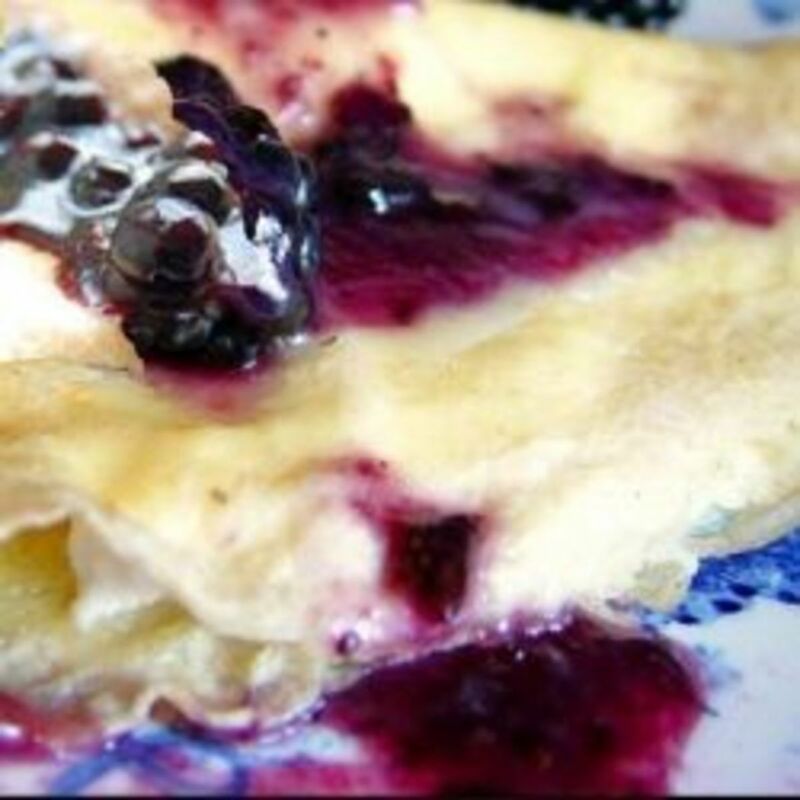 The French call their thin pancakes, crepes. They can be filled with anything, such as spinach and fish and often, are commonly served for lunch and dinner. "Pancake Day, or, as we know it, Marti Gras. As we all know, Marti Gras is the day before Ash Wednesday, the start of Lent." Banana peels can reduce itching and swelling associated with bug bites, like mosquito bites. 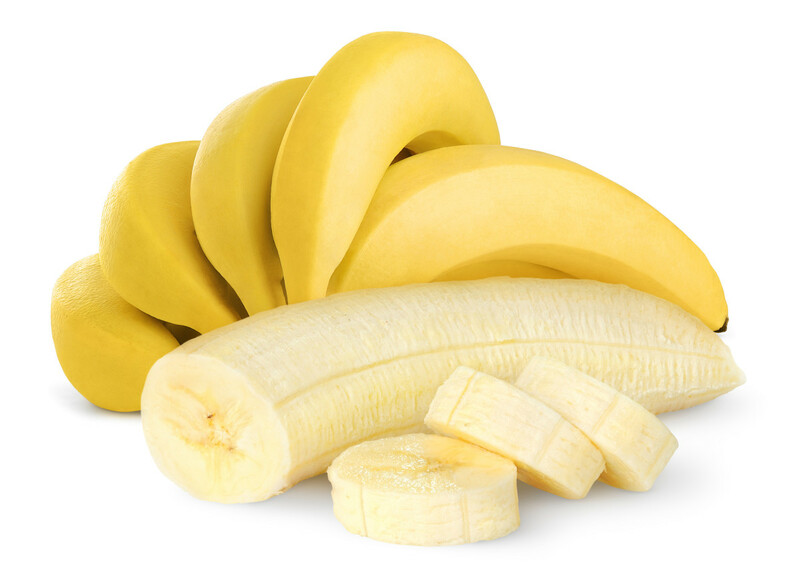 Banana peels can help get rid of a wart on your body by wrapping the peel around it. For more details on these benefits, visit Lifescript - Healthy Living for Women. In the article, "Health Benefits of Eggs," the editors of PureHealthMD state, "Very few foods share the same diverse nutrient makeup available in a single egg. Many of these are specifically needed for the health of the nerves and the brain." You can find more information on their website, How Stuff Works. I included this video on how to make Indian style waffles (Credited to Eat East India) for International Waffle Day that is celebrated March 25th. Do You Need New Mixing Bowls To Whip Up Your Recipes? 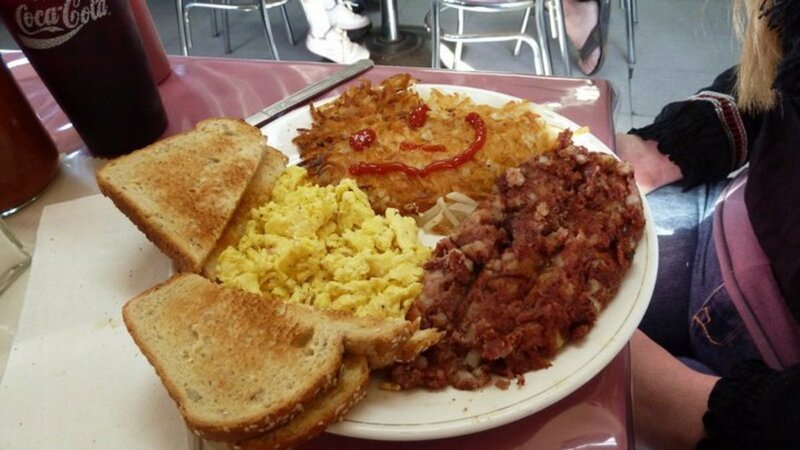 Which breakfast food do you prefer? Do You Need An Electric Griddle to Cook Your Pancakes? In this day and age, life seems to move faster, giving us little time to enjoy the small things. Even on the weekends, my family seems to be rushing off somewhere, particularly since my husband now works every Saturday. I think that is why it is even more important to keep up the tradition to stop and take time to come together around the table, either for breakfast or dinner, with your family. I realize now why my mom made such an effort to have us sit around the kitchen; to be able to talk, reconnect and share a simple meal. Since life for us seems to only be moving faster with more hectic schedules, I am always looking for ways to make things easier, especially with the time it takes to prepare and cook meals. 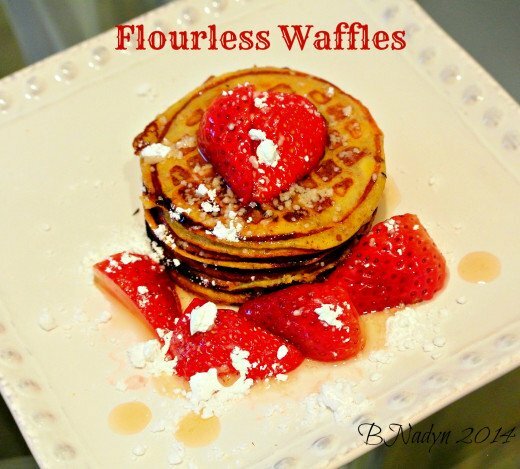 This simple and quick recipe for flourless waffles and pancakes are almost effortless and is a great idea for breakfast, brunch or dinner that will bring your family together or you can eat it on your own for a quick meal. Enjoy! Lizolivia, I'm glad you found this, too! Thank you for the nice comment. You can definitely make this recipe your own by adding your preferences. I love putting pumpkin or apple pie spice and cinnamon in the batter with this. I really like your recipe, who would have thought. I've never seen this before to mix banana and egg and fry it, I'm anxious to try it and to see what else I can add to vary it now and then. I've been needing new ideas for what I make and serve for home meals. Thanks, well written and a joy to read. It's much easier and faster than your traditional homemade pancakes. Hope you enjoy them! I'm intrigued by this recipe and ready to sample it for breakfast tomorrow - looks, delicious and not difficult and time consuming. My sort of breakfast. Thank you. An amazing healthy and gluten-free recipe. I love so much pancakes, but I never tried this before. I will surprise my fiancé tonight. Thank's for sharing this with us. I love waffles and can't stand pancakes. Go figure! I won't even try to explain it to you. Anyway, I'm interested in the waffle recipe, so thank you. Nice job constructing this article. I looks nice. This is so different, I can't wait to try this. I pinned it on Pinterest and liked it on Facebook. I voted up and awesome. Thank you for sharing this unique recipe. That sounds great! I am not much into cooking and prefer easy to make items. In my family we don't have a lot of time for cooked breakfasts but I will try the pancakes one weekend when we're all home. Thanks for sharing your recipes. 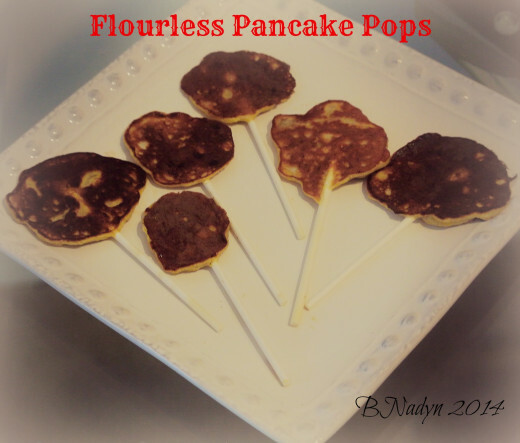 An amazing, gluten-free way to enjoy pancakes! Very interesting idea and I bet it's tasty too! Ah Pancakes! Why do I never get them for breakfast. No more excuses. I can now make them myself. Thanks for sharing. You did a marvelous job. Voted up. Great recipe and thanks for sharing. I don't care much about recipes, but as a writer I love the fact that you started this with a story about your family. That made this personal and that made this worth reading. Well done!